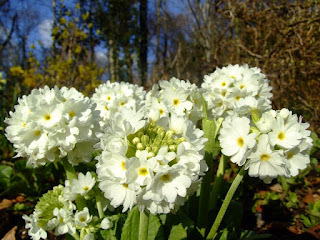 These primula denticulata we grew from seed during our first full spring at Pottery House. They are looking amazing this year. We've started some more off from seeds this year. It's been a beautiful few days here in the Highlands, today was especially sunny and warm. The spring flowers are looking fabulous. 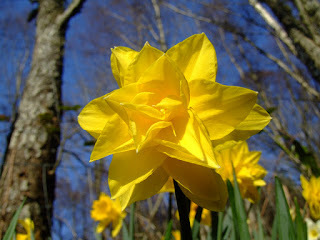 These double daffodills have been in the garden since we moved here. We love them, will have to look out for more bulbs in the autumn. 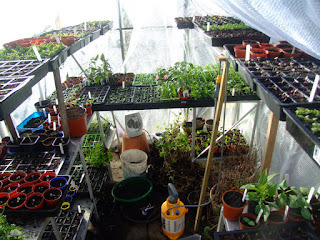 Our greenhouse is full to bursting at the moment, we've even had to put in some temporary shelves on top of the staging to take all the seed trays.